Holiday.gr - Messonghi, a trip to a myth! 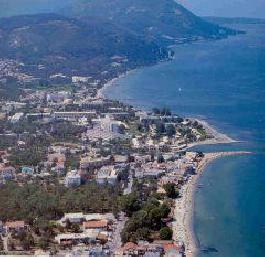 Messonghi is a tourist resort of south Corfu. The settlement is located 22km from the city and it's built along the coastline. The extent beach is a pole of attraction for the lovers of swimming and water sports. 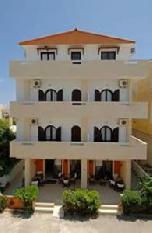 The good tourist organization offers all sort of comforts and options. Characteristic is the small river that cuts across the settlement and divides it into two parts that makes it more graphic. From the village of Messonghi you can visit the nearby villages like Hlomos with the small paths, Hlomatiana with the church of Panagia and village Agios Dimitrios with a glorious view. Been to Messonghi ? Share your experiences!